We are very pleased to share HockeyTech's digital services and data management to help grow the BCHL and profile their great players on their journey to NCAA, CHL and even NHL. (HockeyTech) The British Columbia Hockey League (BCHL) and HockeyTech are pleased to announce a long-term partnership agreement that includes the launch of new websites, live-scoring, statistics and mobile apps. HockeyTech will become the exclusive digital and data partner for the BCHL and its 17 member teams, extending a relationship that already included RinkNet and FASTHockey. As part of the agreement, RinkNet, hockey’s premiere scouting and hockey administration software, will also now be available to the league office and every BCHL team. The five-year agreement begins immediately and will run until the 2019-20 season. The system was launched to the public during the league's winter break and continues to be enhanced as the season draws on. HockeyTech is the worldwide leader in providing hockey-related technologies, analytics and information services. HockeyTech was founded in 2012 by Stu Siegel, serial technology entrepreneur and former Florida Panthers Managing Partner/CEO, to address the lack of technology tools available to the hockey world. The company has grown rapidly, and has made five company acquisitions to date. While HockeyTech is a new corporate identity, it has been providing cutting-edge solutions to the hockey world since 1998. The company counts amongst its customers nearly every premier league, team, and governing body in North America including: all 30 NHL teams, USA Hockey, Hockey Canada, AHL, ECHL, CHL, USHL, NCAA teams, and many more. 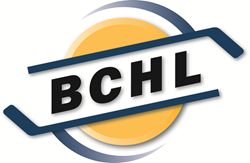 The British Columbia Hockey League is a 17-team Junior A league with 16 franchises in B.C. and one in Washington State. It is one of 10 leagues in the Canadian Junior Hockey League (CJHL). Established in 1961-62, the league is in its 54th season and enjoys a reputation as one of the finest development leagues in North America. Over the last five years, the BCHL has averaged 122 players per season committed to college hockey programs in Canada and the United States. This season, 38 league alums have played in the NHL and more than 300 former BCHL players will suit up for college hockey. Prominent league alumni include Brett Hull, Ken Holland, Duncan Keith, Paul Kariya, Brendan Morrison, Dave Nonis, Brad Treliving, Ryan Johansen, Bob Nicholson, Jamie Benn, Andrew Hammond and Kyle Turris.